What is EdenChain Trying to Solve? EdenChain is a South Korean based ICO that is trying to revolutionize blockchain technology. Based in Seoul, Gangnam (is this where Gangnam Style was born?!) they are looking to be the global platform for the programmable economy. They are building to a highly secured inter-operable, high-performance blockchain with low processing fees. 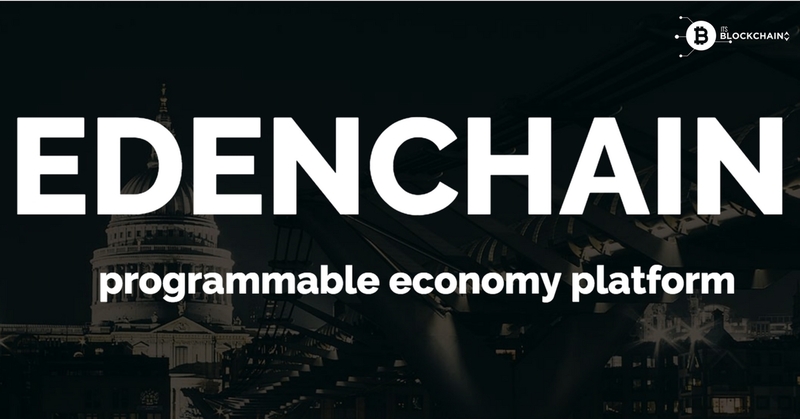 EdenChain can be used in a wide range of applications and industries; to provide an ICO Platform for start-ups to launch their own ICOs across all sectors such as IoT, B2B, services, P2P Finance, shared economy and etc. (I think this will be their MVP as more & more ICO’s are born) EdenChain supports Solidity, currently the most popular smart contract language. As smart contracts are heavily used for sensitive services such as payment and settlement, stable and reliable smart contract programming languages are more important than programming languages that are easily written by developers. The successful implementation of Programmable Economy platform brings with itself two major problems — performance and non-secured connectivity. EdenChain focuses on solving these technical issues by employing software and hardware that can elevate the performance of the entire network and protect the blockchain against external hackers. Since EdenChain has the ability to monetize all kinds of assets and executing secure, cost-efficient, and faster transactions, it can be adopted across various industries, such as IoT, Finance, Shared Economy, Games, ICO and etc. EdenChain can execute a large number of transactions quickly. The Namespace technology employed by the platform separates unrelated transactions from each other, thereby allowing the processing of multiple transactions in parallel. We have no data consistency problem so adding more computing resources to the system will increase performance in a linear manner. In theory, EdenChain can handle an infinite number of tps because there is no limit to the number of namespaces and transactions in each namespace can be run in parallel. Each namespace runs 1,000 tps. In this sense, with more computing resources available for use to deploy the namespaces, the total tps of EdenChain will scale linearly. We will need to conduct further tests to determine the exact number of tps. EdenChain employs the E-bridge layer to retrieve data from numerous data sources, encrypts this data and makes use of the median voter theorem (MVT) to protect this data from being compromised. We’ve still yet to find all the details of the token economics apart from the basic ones set above. What we do know is that there are allocating 40% of the tokens to the token sale which is ok, could be more being a large hard cap but it’s fairly reasonable. 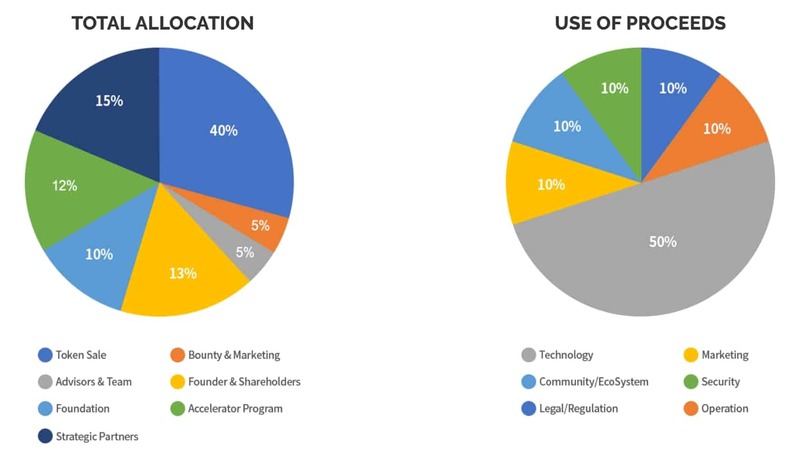 However, there is a 17% allocation broken down as follows: 5% for Advisors & Team — 13% to Founders & Shareholders. Aren’t these the same? The core team member usually is the founders and although advisors tend to get tokens as a reward, the top advisors will get shares in the company too. That’s just over $4 million allocated for member & advisors, so as a whole this percentage is quite high in my humble eyes. We’ve also noticed that 50% of the tokens will be allocated to developing EdenChain’s technology. That’s a huge amount of $12 million should they achieve the hard cap. There’s nothing particularly wrong with this per-say, but I’d have hoped they had a majority of the technology available prior to ICO. But, more importantly, it doesn’t leave much funding for other important uses. For example, they have allocated 10% for Marketing, this is quite low in my eyes because to hit a global scale they’ll need more than $2.4 million that’s for sure. When looking at the team EdenChain is spearheaded by James Ahn. James has a master’s degree in software from Korea University and KAIST with 20 years of experience in the field of IT. He worked as CTO at CyberRenassance Inc. (Japan) and later as a representative of MHR and DeepNumbers. He served as a consultant to the NIA Platform, a technical advisor to the National Computing & Information Service, and an advisor to Cloud for the Korean Agency for Technology and Standards. Jenny Ryoo is the Co-founder and on paper, she doesn’t have a great deal of experience. She was a Senior Researcher at MHR INC for 10 years and then joined Eden. She may have some hidden skills we don’t know about and I’m sure that she is capable, but when you are asking for $24 million, I need more experience than this! The advisory board for EdenChain is pretty big, with a total of 10 advisors. This includes Changki Park who they say is “one of the most successful internet businessmen in Korea,” He founded the most significant financial information portal in Korea, Paxnet and worked at Samsung for 14 years. That’s pretty big in my eyes. Karl Pfister-Kraxner holds an MSC in Innovation Management and an MBA from the Johannes Kepler University in Liz, Austria. Karl helped restructure Samsung’s Electronics business in 14 countries. Karl also presided over the Nokia Austria/Switzerland start-up of the unit’s sales unit by building up the local sales team, developing the distribution channels and setting up the SCM towards retail channels. One slight annoyance was that there was no link to IckChan Joo LinkedIn page and when searching for him on LinkedIn he was nowhere to be found. A rare oversight perhaps from the EdenChain team, but nothing that I’m hugely worried about. As it’s still early days I think EdenChain are doing well enough. over 6K on Telegram is good considering Token Sale dates haven’t been set yet. As a whole I think they will grow to a massive following, my projections will be that by April they will have 10K followers and hopefully will have announced Token Sale to create a bigger buzz. I think the EdenChain ICO has all the elements to be successful, but they have a long way to go in my opinion. If they can stick to their roadmap in conjunction to having a strong community backing the EDN token could reach a 3–5x minimum. ICON who had a similar project eventually did a 10x from ICO price and I think Eden Chain could be a better version of ICON. With the help of their A-list advisors, they could potentially rocket, especially in their region. I’ll definitely be keeping a close eye to their progress in the coming months. Don’t forget to give us and if you like what you’ve read, we appreciate the support!